Nepal wins International T20 Series - Integration Through Media ....! KATHMANDU: Nepal won the International T20 Series by defeating hosts United Arab Emirates by 2-1 points. 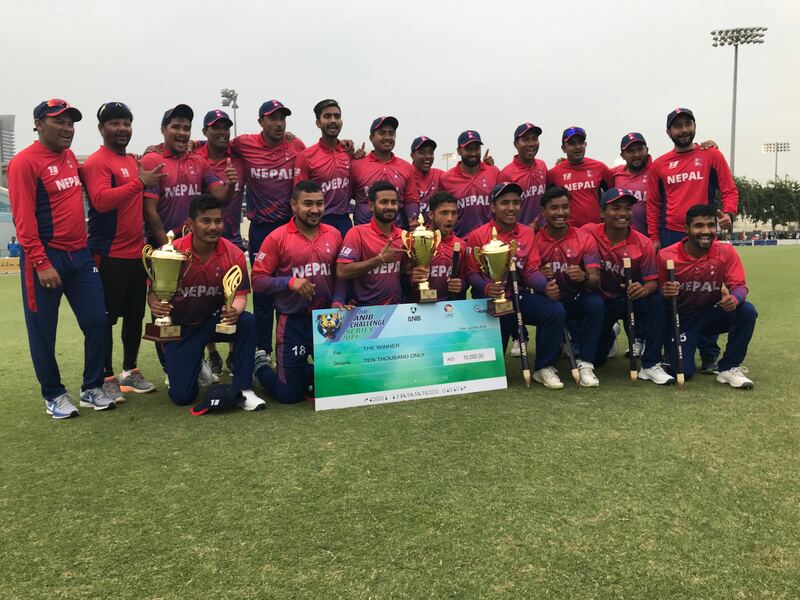 In the final match at the ICC Academy Ground in Dubai on Sunday, Nepal beat UAE by 14 runs. It made 104 runs in 10 overs losing eight wickets. In chasing the target of 105 runs, UAE was restricted to 90 runs in 10 overs at the loss of eight wickets. The match was reduced to 10 overs due to rains. For Nepal, Lalit Narayan Rajbamshi, Avinash Bohara and Karan KC claimed two wickets each. Likewise, Sompal Kami and Sandeep Lamichhane took each wicket. Captain Paras Khadka hit 29 runs for Nepal. Likewise, Sandip Jora smashed 28, Binod Bhandari 21, Gynendra Malla 11 and Karan KC 10. The national team, who was on a UAE tour to play One Day International Series and T20 Series, also won the ODI Series by 2-1 points.